The premium service offers many advantages for a very low price. Do not hesitate to try this service with 7 free days! All thumbs are on a CDN to greatly accelerate their loads by offering entry points around the world! 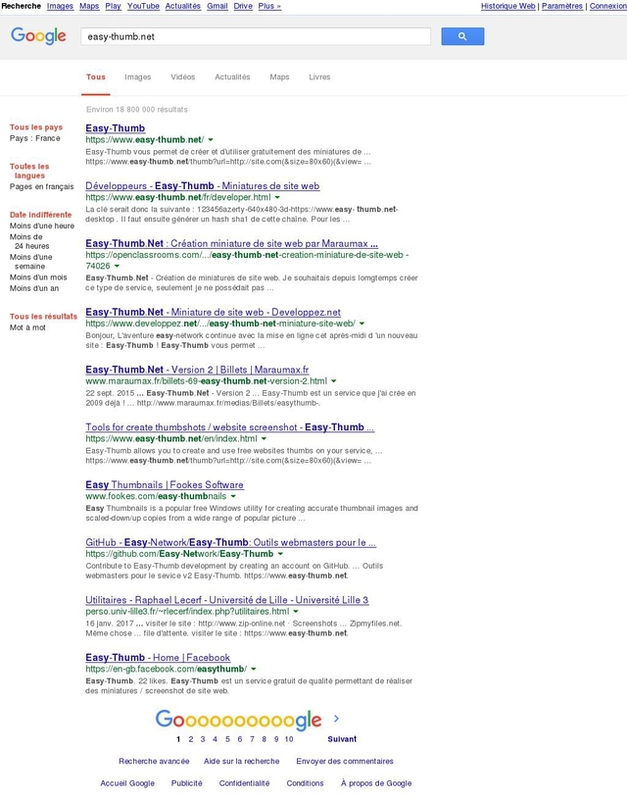 Our service is accessible in SSL to display thumbnails on your secure sites and tools. You can send us your testimony via the contact form. 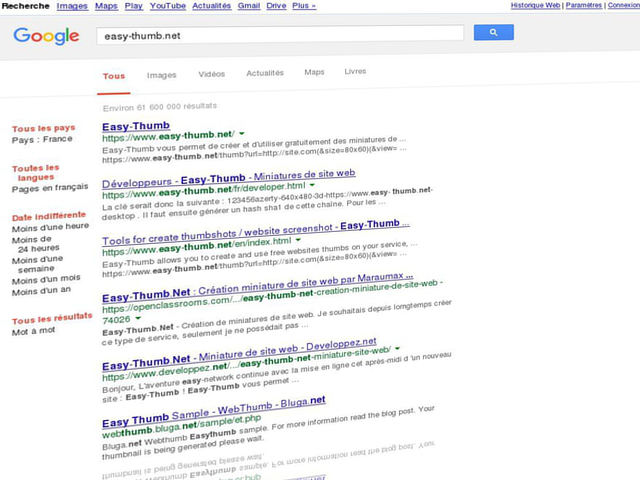 Created in 2009, Easy-Thumb offers a quality service to display website thumbnails on your tools. Our service is available for free, a premium offer allows you to access additional options.